I would like to start this post by saying a few words about a very special person that is no longer with us. Bogdan’s mom passed away this week and even though is hard, and we’ll miss her very much, I know she will always be with us in our hearts. She was and still remains in my heart a mom, a wonderful and happy person, a great supporter of everything we did and, above all, a real friend. We’ll miss her wonderful personality, our conversations and advice and unconditional support. You will be never forgotten! The passing of a mother must be so hard, my thoughts are with your family. 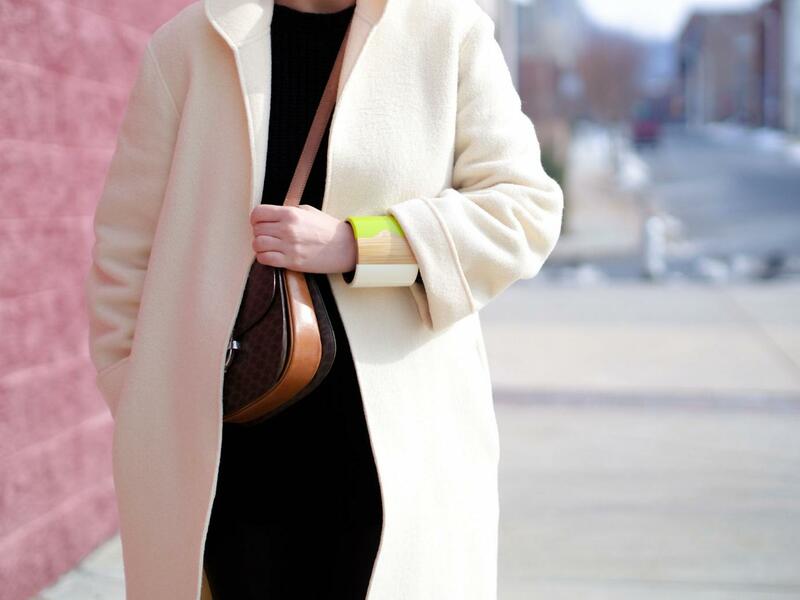 This light coloured coat is beautiful and gives your look a very elegant touch!